Since the blog has largely been, thus far, a smorgasbord of my opinions on various aspects of fantasy, pop culture and assorted superhero stuff, I thought it might be a change of scene to open up the floor to other fans. In this series, I hope to profile the Hogwarts houses, each in the words of a reader/fan/student who sees themselves as belonging to said house, identifies with its tenets in some fashion, and seeks, through the post, to explain what makes it the fit they most wish to see. What is interesting about the Hogwarts houses is how they communicate a certain identity to the larger world, and it amazes me, time and again, how so many people (me included) Sort themselves and hold to their chosen house with such conviction, never minding that this is an imaginary space, and the name really doesn’t correspond to anything in real life. Except it does, evidently. It shapes a person’s view of themselves, and I think it’s fascinating to take a peek into what goes into that sort of self-identification. How much of an impression must these books have made, to have such a powerful effect on how a reader sees herself? So, presenting the first speaker for the House (I can’t resist bad puns sometimes), Shreya Jindal. Shreya is one of my closest friends, and the first person I met who proudly declared herself a Hufflepuff (you know, before it was cool). She is currently pursuing an M.A.T in English Education at Brown University and apart from being a devoted teacher, she is a fanfiction-ophile, and particularly loves a good Hurt/Comfort fic. Without further ado, I’ll turn the floor over to her! As a proud and self-proclaimed member of the House of Hufflepuff, I occasionally get odd or amused looks, even from the ranks of Harry Potter fans who engage in this kind of discourse on a fairly regular basis. And in truth, I can’t say I blame them, for Hufflepuff has always been the most overlooked, underrated House in the books. 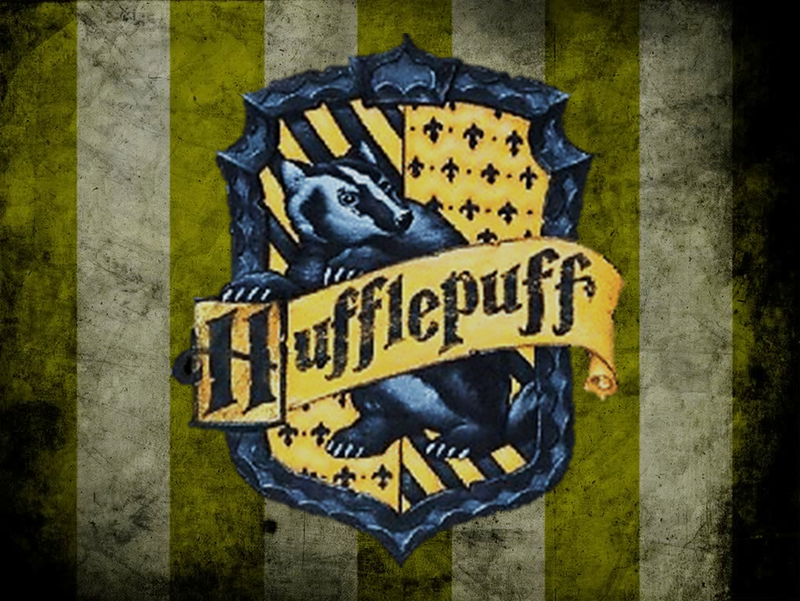 The fact is that I have chosen a lifelong allegiance to the values of Hufflepuff House, and as with all successful Sortings, this was something I chose of my own volition. Part of it was seeing the results of hard work in my own life. Every time I have worked hard for something I truly cared about, I have usually gotten favorable results. This is not to say, of course, that “hard work pays off” is a universal truth. I am fully aware that some successes are down to luck and others to circumstances, but I do think that people sometimes underestimate how powerful hard work, and equally importantly, being seen to be a hard worker, can be. In the workplace, hard work impresses everyone if it is undertaken with sincerity and genuineness. It is, I think, a secret weapon for those of us who don’t, or can’t, navigate politics in the workplace. But the real moment when my membership in the House of Hufflepuff became not just a fact, but also a matter of pride, occurred two years after I started teaching. I was re-reading the Harry Potter books for probably the hundredth time, and I came across this quote from the Sorting Hat’s song in The Order of the Phoenix, “Said Hufflepuff, ‘I’ll teach the lot, and treat them just the same.’” In that moment, I instantly recognized in these lines the golden standard for all educators, something we are supposed to aspire to, even if, as human beings, we often fall short of the ideal. I realized then that besides being a land of adventure and romance, magic and ghosts, Hogwarts was first and foremost, supposed to be a school, and that of all the four Founders, the only one who any sane parent would want to be teaching their kids was Helga Hufflepuff. Ravenclaw wanted the clever ones, Gryffindor wanted the brave ones, and Slytherin wanted the ambitious ones, but Hufflepuff knew she wouldn’t be doing her job right if she didn’t try to educate all of them, regardless of blood, status, or temperament. From that moment on, I have tried to live by the ideals of House Hufflepuff in my personal as well as my professional life. Today, I wear the badger tattoo on my shoulder with pride, a lifelong reminder of the things that really matter to me both as a Harry Potter fan and a teacher. All content apart from select photos and quotes is the property of ©Achala Upendran. In case you wish to use selected portions of posts or entire swathes, please do get in touch for permission. quello che un bel film! Many physicists today postulate the existence of multiple universes, even when sober. We used to live in a world of infinite possibilities. Now we live in an infinite number of worlds. India shines. Democracy thrives. The economy booms. A hundred flyovers bloom. This is not that India. If you see your picture here one day, don’t worry. That’s not you.